1. 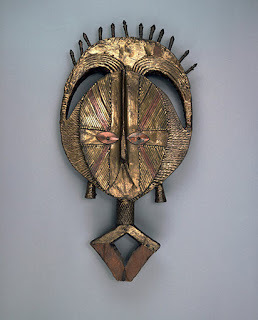 PHILADELPHIA, PA.- This spring the Philadelphia Museum of Art is presenting five exhibitions and a series of related programs that feature a broad spectrum of the arts from across the African continent. These exhibitions include historical works of art as well as contemporary fashion, photography, design, and architecture. The centerpiece is Look Again: Contemporary Perspectives on African Art, a major exhibition drawn from the collection of the Penn Museum, on view from May 14 through December 4, 2016. It examines the rich artistic heritage of West and Central Africa, and is designed to acquaint visitors with the diverse styles and functions of African art through the act of close looking. Look Again takes advantage of some of the greatest strengths of the Penn Museum’s collection, placing a strong emphasis on process, materials, and ornamentation as well as the understanding that can be gained through an examination of context, function, and provenance. Highlights from the kingdom of Benin include carved ivories and bronzes, among them plaques that once adorned the Oba’s palace, a magnificent architectural complex at the heart of Benin City in present-day Nigeria. Bronzes created as early as the 16th century include commemorative heads, ranging from the very simple to the extremely ornate, that would have been placed on altars. The exhibition is coordinated at the Philadelphia Museum of Art by John Vick, Project Assistant Curator. 2. NEW HAVEN, CONN.- Weaving and the Social World: 3,000 Years of Ancient Andean Textiles celebrates the importance and beauty of ancient Andean textiles, demonstrating the wide spectrum of their designs and functions. 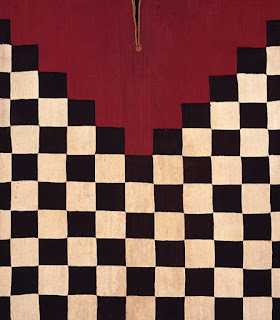 The exhibition presents works on loan from two private collections, including tunics, mantles, and wall hangings as well as related feather, gold, and silver ornaments; weaving implements; and ceramic vessels. Characterized by graphically powerful images of deities, animals, and geometric motifs and by advanced weaving techniques, the objects on view represent one of the world’s oldest and most important textile traditions. Weaving was a significant artistic achievement of ancient Andean cultures in South America. Lacking written languages, societies used textiles as the primary means of transmitting images and ideas. Clothing identified a person’s gender, status, occupation, wealth, and community affiliation. Over time, textiles played an increasing role in political and religious ceremonies, particularly funerary rituals. Garments worn in life were buried with the dead, and the bodies of high-status individuals were wrapped in layers of fabrics and accompanied by cloth offerings. Textiles were also used to make votive dolls, wall hangings for shrines, clothing for figurines, bags, and other items. Andean weavers used portable looms lashed to posts or trees with vertical warp and horizontal weft threads. A textile’s width was limited by the size of the loom, but sections could be stitched together to make larger fabrics. Textiles were produced using plain weave as well as complex techniques, such as tapestry weave and scaffold weave. Scaffold weave was unique to the Andes, while tapestry was common in Europe—although Andean tapestries incorporated finer yarns, were more tightly woven, and were finished on both sides. Additional techniques included embroidery, brocading, dye painting, tie-dye, and sewing bird feathers onto plain weaves. Threads were made from cotton native to the coast and wool from highland camelids (llamas, alpacas, and vicuñas). Andean dyers used fine organic dyes, achieving a range of more than one hundred colors. Raw materials for weaving were traded and distributed throughout the Andes. Finished textiles and other goods flowed among widely dispersed communities and major cities as tribute, gifts, or items of trade. The textiles in the exhibition represent the most significant ancient Andean cultures— including the Chancay, Chavín, Chimú, Moche, Nazca, Inca, Paracas, Sihuas, and Wari societies— and they range in date from as early as 900 b.c. to the sixteenth century a.d. 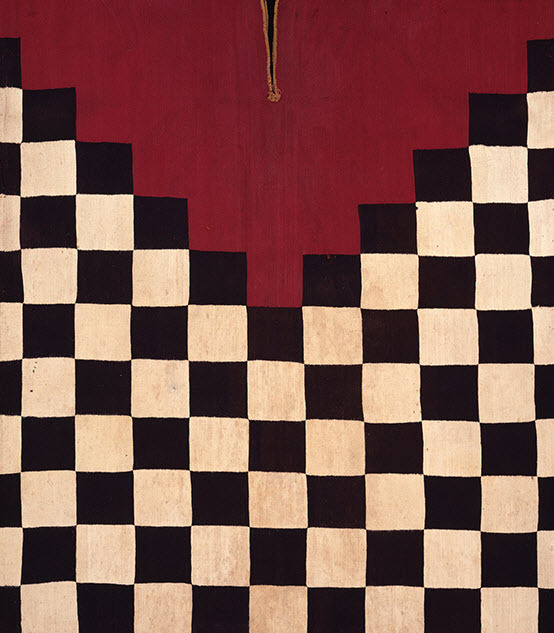 Bold geometric motifs are incorporated into many of the designs, including a striking Inca tunic with a black and white checkerboard pattern, accented with a section of bright red, and Nazca tunics with chevrons, stepped diamonds, and fret motifs. Supernatural beings are also common subjects: a hand-painted Chavín mantle portrays a fanged goddess; colorful Crested Moon Animals march across a feathered Chimú tunic; and the Rayed Deity, thought to represent the sun, is powerfully resplendent on Sihuas mantles. Animals of sky, sea, and land are depicted in stylized and naturalistic forms. An extraordinary Chancay sleeved tunic portrays condors, the large soaring bird of the Andes, in three dimensional embroidery, seen from above as if in flight. A finely embroidered Nazca mantle features a dense, repeating pattern of stylized killer whales. One wall of the exhibition galleries displays a stunning array of colorful textiles created with feathers from tropical birds of the Amazon Basin. The exhibition is on view at the Yale University Art Gallery through September 18, 2016. 3. 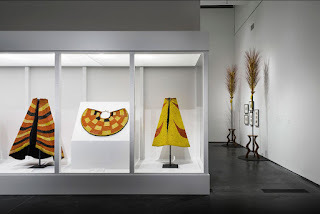 LOS ANGELES, CA.- The Los Angeles County Museum of Art is presenting the exhibition Royal Hawaiian Featherwork: Nā Hulu Ali‘i (May 22– August 7, 2016), comprising nearly 70 featherwork objects in addition to photographs from the museum’s permanent collection. Objects in the exhibition include brilliantly colored cloaks and capes that were crafted from the feathers of hundreds of thousands of indigenous birds and carefully attached to woven fiber supports. Developed by the Fine Arts Museums of San Francisco in collaboration with the Bernice Pauahi Bishop Museum, Honolulu, this exhibition presents the finest examples of these objects. While featherwork dates back hundreds of years, this presentation of Nā hulu ali‘i —or royal featherwork—spans the late 18th to the late 19th centuries. During this pivotal period in Hawaiian history, European explorers arrived on the islands, which then erupted in civil war before unification by King Kamehameha I in 1810. After the arrival of missionaries in 1820, and the subsequent widespread conversion to Christianity, the Hawaiian government was overthrown in 1893 and annexed by the United States in 1898. For centuries, feathers from vibrantly colored endemic birds were valuable cultural resources on the Hawaiian Islands. Spectacular garments painstakingly constructed by hand, including ‘ahu ‘ula (long cloaks and short capes), mahiole (helmets), and lei hulu (leis), masterfully incorporate these feathers and symbolized the divinity and power of the ali‘i (chiefs)—ruling men and women who wore them for spiritual protection and to proclaim their identity and social status. Nā hulu ali‘i were often used as diplomatic gifts to cement political alliances or were worn as battlefield regalia. Fewer than 300 extant examples of these garments remain; they shape our knowledge about the art form known as nā hulu ali‘i. The rich holdings of four American museums—the Bernice Pauahi Bishop Museum, Honolulu Museum of Art, the Peabody Museum of Archaeology and Ethnology at Harvard, and the National Museum of Natural History, Smithsonian Institution—are the primary institutional lenders to the exhibition.